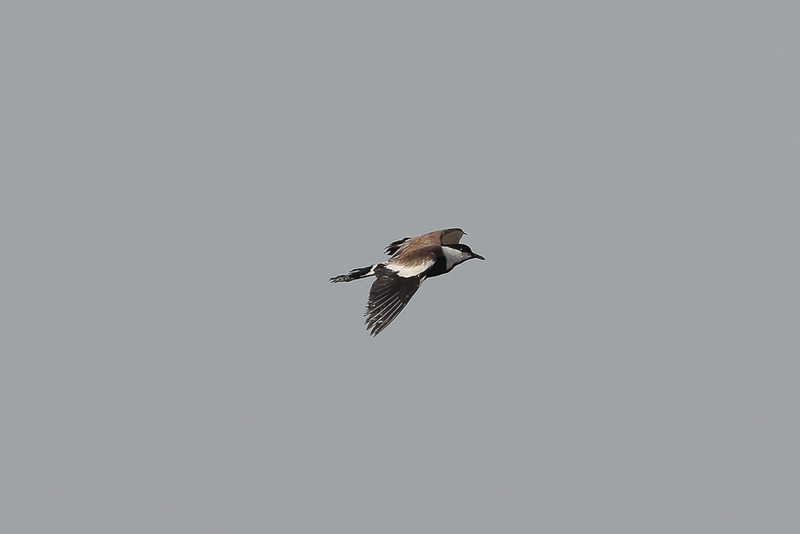 Whilst biding the Jubail area on 7 April 2017 Phil Roberts and I found two Spur-winged Lapwings along the edge of a flooded sabkha. 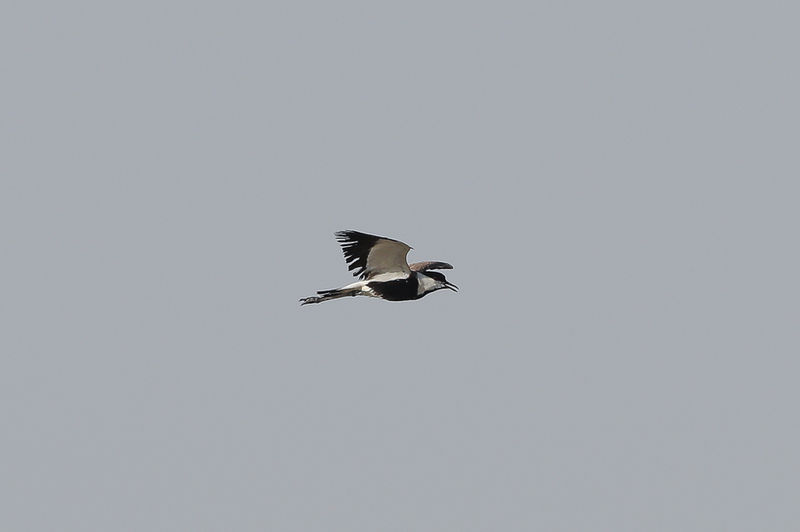 The species is still scarce in the Eastern Province although good numbers have been seen recently in the Haradh area including a bird this year that appeared to be defending a territory so may have been breeding. The birds seen in Jubail remained for a week or so but then were not seen again so finding a bird on 23 June was a surprise. 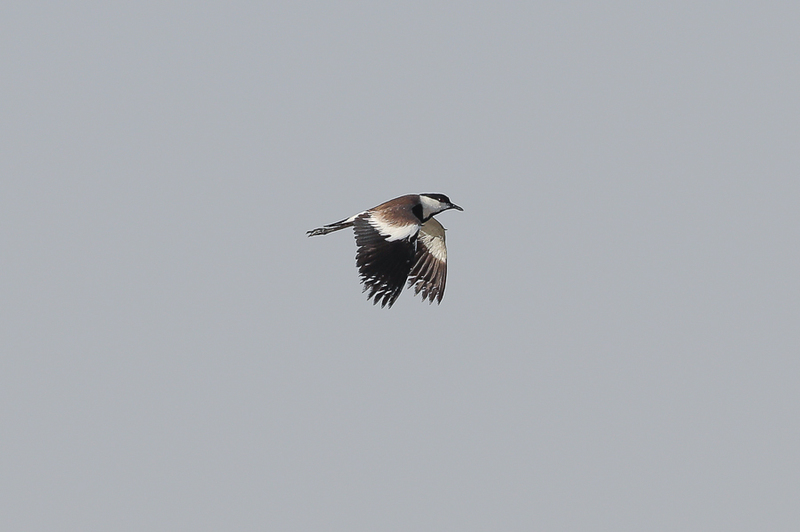 It was a reasonable distance away from where we first found it but in the same general area and it is most likely one of the birds seen in April as they are very scarce in the area. The bird seen in April was the first time I had seen one here. 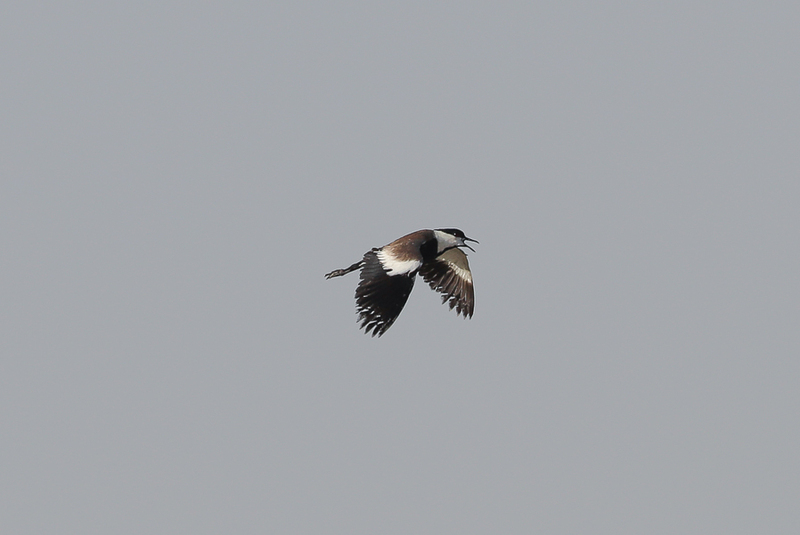 The bird was very vocal and calling in flight a possible sign that the second bird may still be about on a nest nearby.